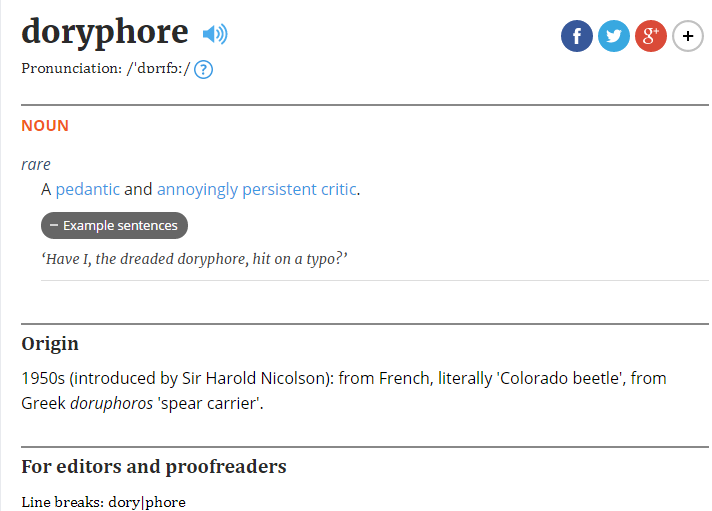 Doryphores seem to be everywhere. I hope I’m not one! This entry was posted in words and tagged English language, linguistics, unusual words, vocabulary, word of the week by luckyotter. Bookmark the permalink.